We are your partner in outdoor entertaining, with decades of experience in custom cabinetry and home remodeling, along with a firm commitment to your satisfaction. 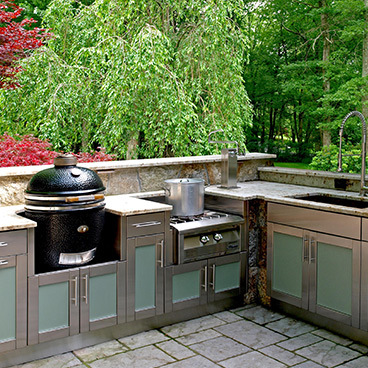 We use only the best materials – commercial-grade, 100 percent stainless steel cabinetry from Danver and Brown Jordan outdoor kitchens – to ensure that your outdoor living space looks great and will last for years to come. If you would like to know more about the services we provide, get in touch with us today! 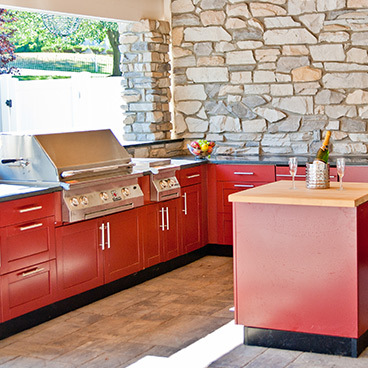 Not only is the Artisan Outdoor Kitchens team unparalleled in our workmanship and talent, but we are also unmatched in our dedication to what we do. We take immense pride in creating beautiful and functional outdoor kitchens and entertainment areas, and we are here to meet your needs.